G.O.N.D. 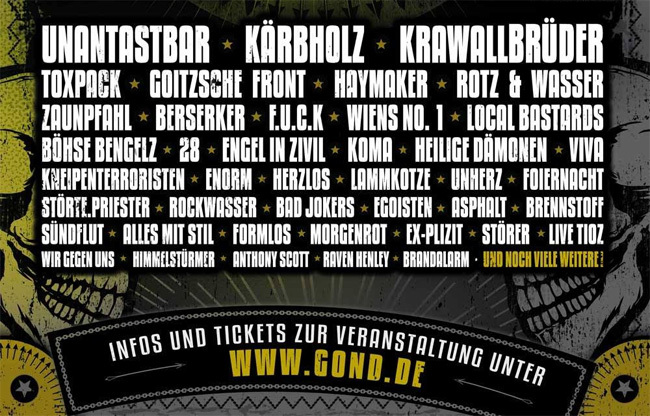 (Germany’s biggest Onkelz Night) is the biggest tribute event in honour of the cult act, BÖHSE ONKELZ. It is an annual four-day open-air rock festival in Rieden-Kreuth (approximately 60 km east of Nueremberg). That Kreuth isn’t just any old location is obvious, after all the ONKELZ themselves have shaken the foundation walls of the Ostbayernhalle four times. The open-air will take place on the site surrounding the venue. 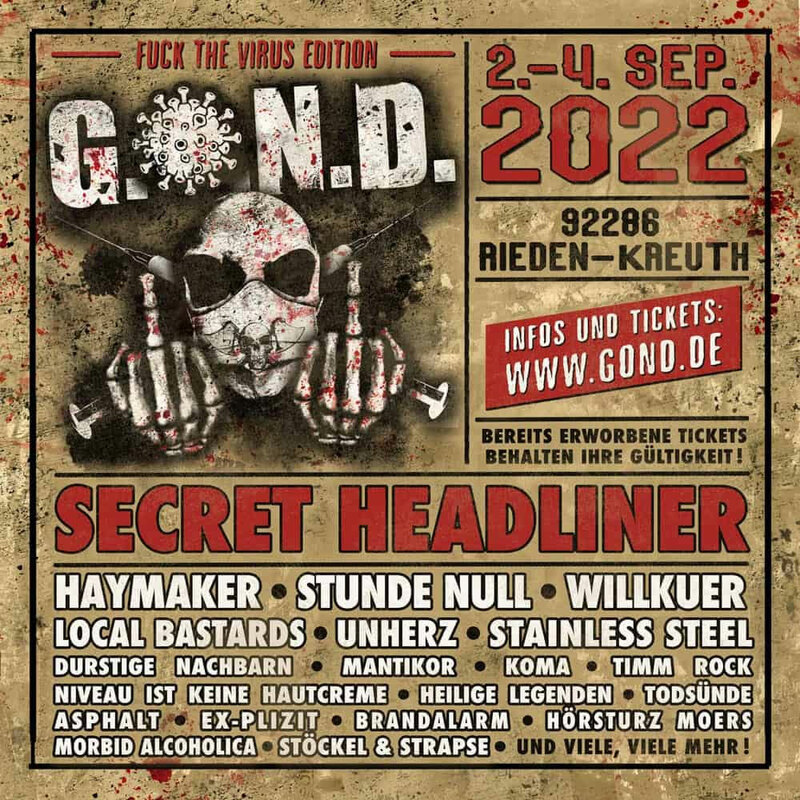 ONKELZ, KREUTH and the G.O.N.D. – a truly exceptional mix! There will be two different non-food areas – one infield and one outside the festival area. The stall fees will be the same. Traders who have their stalls in the outer area will be able to keep them open for an extra half day. plus EUR 100.00 additional costs for each stand! Load-in on Wednesday, 10 July, from 12:00 hrs. All stalls must be put up by 20:00 hrs. The program will continue into the morning of 14 July, and the rest of the day will be for packing up and travelling home.